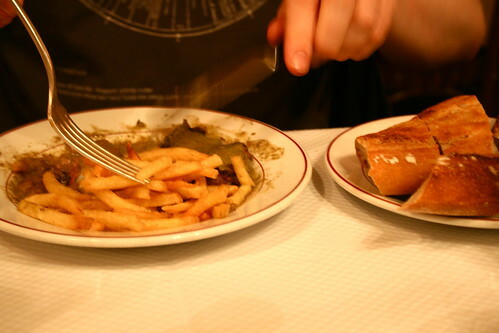 When I think of the best food I've ever eaten, I think about Paris. 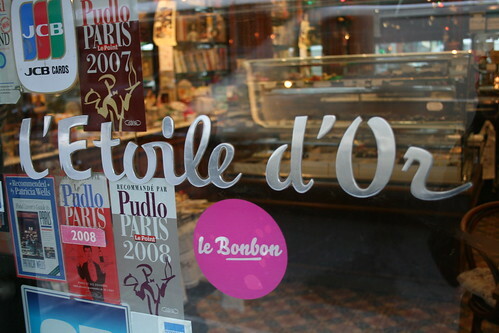 I think about breaking through an almost burnt candied sugar into a warm and creamy creme brulée at Les Philosophes, digging into the best steak of my life at Joel Robuchon, eating a country style foie gras pate at Le Polidor and of course, biting into my first unctuous macaron from Pierre Hermé. I lived in Paris for a year as a teenager and returned after university for 6 months to finish work on a guide book I'm still piecing together in my spare time. I've visited several times since, and even though we've been through our highs and lows, Paris will always have a special place in my heart. It's the city where I matured into the young woman I am today, where I shed tears, sang in the streets, and experienced some of my best as well as some of my loneliest memories. When I walk the streets today, my eyes gloss over thinking of some of the darkest moments, or the good moments with a friend I lost years ago. And even though sometimes I hate the attitude, the divide between classes and the cold grey days, it always manages to seduce with its charm. Nowhere else in the world has ever offered me such a large gallery of everything I love: food, fashion, art. I can't help but love a place where pastries are made with care, scarves are tied with grace, and meals are eaten with appreciation and elegance. Joel Robuchon has 26 Michelin Stars- more than any chef in the world. I could attribute this to the steak I had at Atelier Saint-Germain de Joel Robuchon. 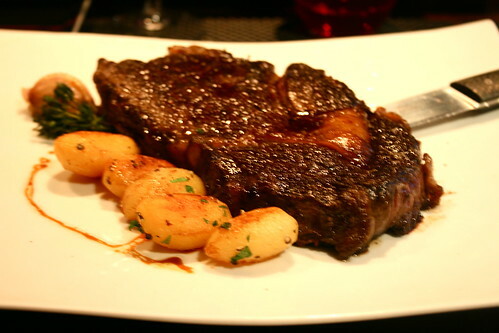 My advice - skip the dissapointing filet mignon (tournedos) and go right in for the kill with l'entrecote a la plancha. The most beautiful, flavourful steak I may have ever bitten into. My family and I are all suckers for the perfect steak frites. It is no surprise that we have an affinity for Relais de L'Entrecote, a French chain that serves the same set menu to every diner: a salad to start, and plentiful steak frites as your main course. I've been told the sauce is secret and made in a laboratory. In fact, there are whole clubs made up of people trying to re-invent the sauce, as well as newspaper articles trying to figure our the secret ingredients (it may involve chicken livers). Regardless, it's worth the trip, very affordable, and my brother and I have been known to go here two nights in a row for dinner. I have been going to Polidor since I was little. 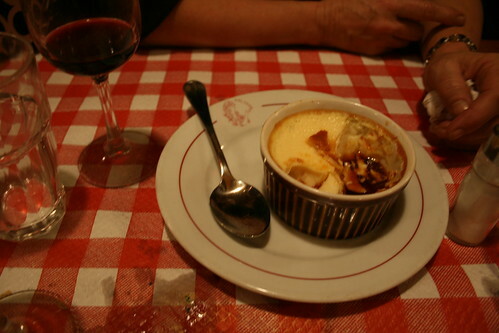 This cozy French restaurant first opened it's doors in 1845 and hasn't changed much since. The food is simple and served on long wooden tables that you'll share with strangers. Make the most of it, share a big pitcher of wine, and don't skip dessert. The bathrooms are also from another time, you've been warned. While the tourists often flock to La Durée for macarons, a more moving experience awaits you at Pierre Hermé. Known as the Picasso of pastries, Pierre Hermé has a talent of taking food to another level. His macarons, in flavours that range from traditional chocolate to blackcurrant and crème brûlée, eating these delicacies is an experience I think everyone should have at least once. L'Etoile d'Or is something out of a storybook. Run by Denise Acabo, a radiant older woman who wears a traditional school girl outfit, this tiny confectionary shop is what dreams are made of. Denise is famous for carrying hard to find items like Bernachon chocolates, CBS caramels, and a selection of the best chocolate from around France. She wraps treats in comic book paper and charms you with her youthful outlook and pride in what she does. Don't leave without a sweet treat. The Bon Marche Epicerie is one big gourmet grocery store. 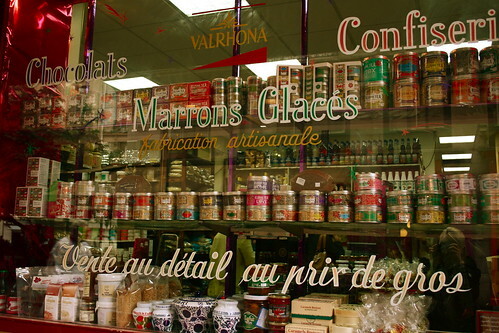 It's the best place to find foreign items, sauces and spices and specialty liqueurs. I also love the little cafe upstairs to stop for a mid day café crème. G Detou is a play on words meaning “I have everything“, and it really does. The small shop has everything a baker and cook can dream of, with shelves lined with bulk chocolate, flavored syrups, tea, sugar, honey, dried fruit, nuts and more. Bosophore is my favourite restaurant in the city. 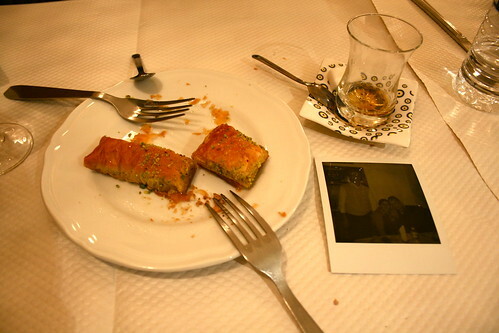 It is owned by a Turkish family who let me live with them for months on end in Paris and never let me go hungry. Not only is their warmth and charm enough to come back for, but the food is incredible. Warm lamb, soft bread, smooth hummus and hot Turkish tea linger in my most delicious memory. 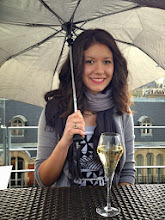 It's incredibly well priced and you can even grab a box to go to take up to the Sacre Coeur to enjoy the view. Okay. Who's ready to escape to Paris with me? We'd only need a one-way ticket. We could blame Gillian Young and the delectable suggestions above. How incredible would that be?! Right. Well, admittedly, now is not the best time for me either. Until then, why not participate in the Plates from Around the World as well? Simply email me your favorite foodie memory place with a description and photos. That, and/or have a fabulous weekend. I'll check in again soon. I want to go to Paris with both you and Gillian!! oh mylanta, i want to eat this entire post. it looks so beauteous! @mackenzie: Ha. If you were to have any virtual leftovers, I'd welcome each one my way!